As we head towards a decade in business, it’s breath-taking to consider what we have achieved over the last nine years. Embleys was founded on one premise: to provide outstanding customer service that would take the stress out of moving home and change people’s perceptions of estate agency for good – and I’m glad to say the statistics prove we’re successfully doing exactly that. I’m grateful to all those who have trusted us to help them buy, sell or rent a property and to my incredible team who remain 100% committed to placing clients at the heart of everything we do. The market has remained pretty steady with solid growth and a high volume of instructions and sales. Trends data from Zoopla shows that across the coastal areas of NE25, NE26, NE27 and NE29, the average property price has increased by 21.1% over the past five years. Over the last twelve months we have achieved on average 99% of the asking price with 52.2% of the properties we sold achieving 100% or more of the asking price and on average it only took five weeks for a property to go under offer. We are also proud to disclose Rightmove’s report results which confirm a staggering 88% of our instructions achieved a sale agreed in 2018. As for our performance in 2018, it’s a pleasure to say we continue to deliver. Don’t just take our word for it – our testimonials page say it all on our behalf. A staggering 27% of people registering for valuations came from referrals. That is to say, over a quarter of our new business enquiries came from people who recommended us to friends, family and colleagues. If you passed our name on, a huge thank you for recognising how hard we work to provide accurate valuations and to keep our customers updated every step of the way. Thanks also for making our rentals and property management service such a huge success; this portfolio has continued to grow beyond even our own initial hopes and expectations. It’s been a great first quarter for Embleys, buoyed by a strong economy and well performing marketplace. It’s fantastic to see the regeneration of the Coast move on apace, with Spanish City and the new promenade front and centre of this. Our eighth year in business has really marked a step change for us and as a now firmly established estate agency, it’s clear that word of mouth is our greatest driver of custom. I want to say thank you to all those who have trusted us with their property move or rental and who continue to recommend us to family, friends and colleagues. It’s appreciated. Any wobbles the property market may have had last year in relation to Brexit are now far behind us. This year we’ve already seen double the number of people registering with Embleys. Just a simple comparison with this time last year says it all – in 2018 the number of properties we’ve placed under offer is up by a third. For properties sold in quarter one, on average it only took 10 viewings and five weeks to sell. As you know, we always strive to exceed expectations and asking prices so it’s great to report we achieved on average 99% of the asking price and 100% or more for 52% of properties. Of course, Embleys now also offers a rentals and property management service. It’s a pleasure to say this has been performing equally well, with 98% of properties achieving the full rental price. With the average time to let being just 18 days (and one property being snapped up in just one day), our marketing efforts are obviously cutting through. If you’d like to sell, let or rent through us please just pop in or give us a call on 0191 252 2810 – we’re always happy to help in any way we can. With Christmas just around the corner, it’s the perfect time to look back at the year that’s been and gone. As ever we are very grateful to those who have supported Embleys by trusting us to sell their property and buying through us. We’d also like to thank those who took advantage of our new rentals and property management offer, which launched earlier this year with great success. Particular thanks go to those who have recommended us to friends, colleagues and family as such a large percentage of our business comes through word of mouth. The last twelve months have been both dynamic and eventful and embleys has seen solid growth in enquiries, property listings and sales. The first half of the year was particularly buoyant, strengthening the local property market. We have continued to solidify our position around the Coast and the fact we are now able to make life easier for landlords and tenants by managing their property needs, has brought an exciting new dynamic to the business. Demand for this has been high and we’re thrilled that 67% of landlords have chosen our fully managed service, knowing we’ll take good care of their occupants. So if you’re looking for a place to let, or alternatively are seeking a tenant / have a property you’d like us to manage, why not give us a call. We’d love to help. If a new home is on your Christmas list, there is also some useful research worth bearing in mind. Rightmove’s House Price Index, reported that its site experiences a mass amount of hits on Christmas Day from homebuyers. This figure jumps to over 1m on New Year’s Eve and then again to over 2m on 1st January. People’s minds naturally turn to new things as the New Year approaches and that often includes a new home. Listing early can make a great difference in beating the competition that invariably comes in Spring. There are only a couple more things to say as we head towards 2018. The first is that instead of Christmas cards, we will once again be making a donation to the Depaul UK’s Youth Homelessness Scheme in order to help those in need. Secondly, I’d like to say a heartfelt thank you to the Embleys team who have worked tirelessly to ensure our customers always come first. Their hard work and energy is much appreciated. As you know, we’re always here to help on 0191 252 2810 and we hope that in the coming months you’ll be one of the many ‘sold on Embleys’. Look it up; it’s a wonderful insight into the concept that we now know as false economy and something we truly believe in here at Embleys. Almost every day we talk to people who have followed best practice and sought valuations from two or three estate agents, or who have had an experience elsewhere they don’t wish to repeat. The feedback always shows that while lower fees look good on the face of it, some house sellers get very little from their money. You may be offered basic marketing but no customer care and certainly no one working with the chain to keep everything moving. We believe value for money is one of the reasons we have so many repeat customers – our 2016 survey showed that 91% of vendors would use us again. Anyone who has sold with Embleys know the extra mile we are prepared to go because of the emphasis we place on customer service. Our statistics support this in every way. During the last quarter alone 99% of the properties we sold achieved the asking price and 60% achieved 100% or more. On average between April and June it only took nine viewings to achieve a sale across an average period of just seven weeks. It goes to show that the extra work we do in researching the area and ensuring an accurate valuation continues to pay off. The fact that our new rentals and property management offer is going from strength to strength is also something we are proud of. If you’re looking for a place to let, or alternatively are seeking a tenant / have a property you’d like us to manage, we’re now perfectly placed to help. The market with the changing political situation has been a little turbulent but it’s settling down again which means there is no reason not to progress your property plans. So if you’d like to sell, let or rent through us please just pop in or give us a call on 0191 252 2810 – we’ll look forward to seeing you. Every year as the sun comes out and seeds spring up, you can guarantee one thing; that there will be a surge in valuations as people look to make their dream of a new home a reality. This year is no different and after a positive first quarter, the level of instructions here at Embleys has really spiked. With for sale boards right around the Coast, from Monkseaton and Seaton Sluice to Whitley Bay, it’s a good time for those wanting to move early in the year, in advance of the area’s ongoing regeneration further pushing up prices. And because there is a slight shortage of prime stock, people would be surprised by the higher price a three or four bed semi house can command at the moment with our help. Of course now is a good time to list your property; everything looks better during light Spring days and you are much more likely to beat the pre-Summer sales rush where you compete with higher stock levels. Of the people who have listed with us this year, we are thrilled to have welcomed 23% of customers back. We are always grateful for repeat business, as well as the high levels of positive word of mouth and recommendations we receive. The team works hard to exceed expectations and ensure a smooth move for all and this is testament to all they do. Our quarterly stats tell a strong story. From January to April, on average it took us only 14 viewings to sell a property, with just seven weeks from on the market to under offer. 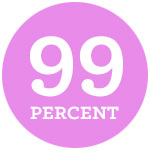 Even better, 98% of those on our books achieved the asking price and 38% of our properties achieved 100% or more. We’ve also been thrilled with the response to our new rentals and property management offer. We asked Donna Pearson, a property owner who has signed up, what she thought of the new service. We’re thrilled with that feedback and it motivates us to do even more for our fantastic customers. Our regular customers know that here at Embleys we strive to provide the best service at all times and that we always listen to feedback. 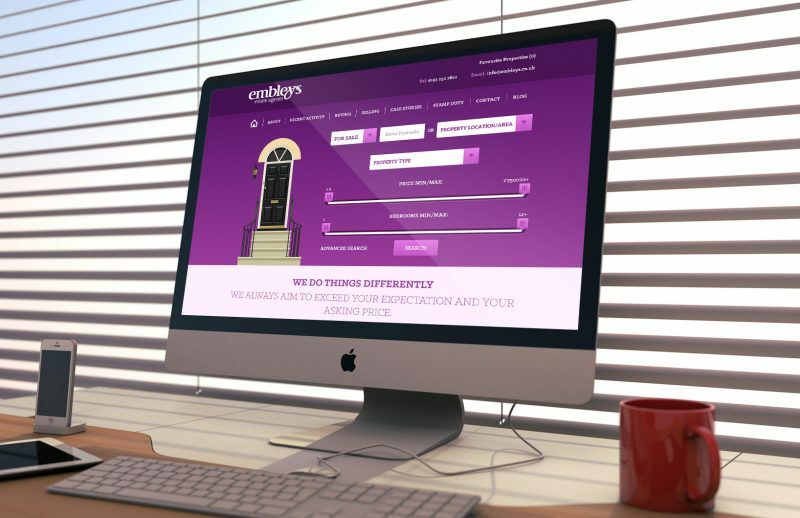 So for many of you, it will be no surprise that we’ve launched a new lettings service. With so many people asking us to modernise the rental market like we’ve modernised estate agency, it was an opportunity we couldn’t pass up. Our purple lettings boards are already going up around the Coast. Whether you’re looking for a home or a landlord looking for some help, we have the perfect service for you. Just like we match buyers with their ideal properties, we do the same for those looking to rent, so you find a place that suits your needs, in the right area and at the right price. And if you are a landlord, we offer a tenant find service as well as a property management option, perfect for if you want someone else to oversee the entire process from start to finish, including handling tenancy fees, carrying out inventories, quarterly property inspections and managing repairs. If you’re searching for a well maintained home with a reliable and accessible point of contact, or need someone to oversee your property and ensure it’s well looked after, you can trust Embleys to be on hand and responsive. Should any problems ever arise, we’ll resolve them. Renting a home with Embleys isn’t like renting a home with any other estate agent. We’d love to tell you more – why not give us a call on 0191 252 2810. We look forward to hearing from you. Neighbourhood knowledge is one of the most important things to have as an estate agency and here at Embleys, we have it in spades. So much so that by the coast in particular, certain postcodes are regularly awash with our purple sales boards – a real purple patch! Eastbourne Gardens, Beach Avenue and Cliftonville Gardens in NE26 are three very strong examples. As ever, we are massively grateful for all the repeat custom and referrals we get that enables this to happen. Embleys was founded on a very simple principle. I wanted to innovate and bring the very best customer service to the sector. Perception analysis shows that, six years on, we are widely recognised for this and our client focus is very strongly our unique selling point. It’s something I’m extremely proud of. It’s also the reason I employ some of the best people in the business, some of which are sales progressors. Not every estate agency has someone fulfilling this role, which is to keep the property transaction moving throughout the entire process, but we know how much this matters and how much of a difference it makes. As such we will always give our customers a dedicated contact that they can get to know and trust and who will keep them updated every step of the way. Quarter three has been another busy and positive three months. Not only did we achieve on average 99% of the asking price for every property sold, we achieved 100% or more for 50.1% of our clients, which is a fantastic result and way over the national average. We remain committed to providing the best advice and that includes sharing the detailed insight and industry reports we have on the different residential areas we cover. You can be confident in our valuations because the price achieved and speed of sale for the properties we have on our books is testament to the fact we get this right. We’d love to get this right for you too. If you’re planning a move, why not give us a call on 0191 252 2810 – we look forward to hearing from you. It’s hard to believe we’re already a quarter of the way through 2016 and it’s certainly been a busy but positive time for those of you looking to buy and sell. The Coastal property market is booming and we’re thrilled to have worked on behalf of so many of you with such positive results. Thank you for trusting in embleys and for recommending us to friends and family too. Our statistics from the first quarter of 2016 are some of our strongest yet. The data shows that 48% of the properties we sold during this timeframe achieved 100% or more of the asking price. What’s more, on average it only took 11 viewings and six weeks from us listing a property to it achieving an offer. We believe this is testament to the groundwork we do in order to accurately value a property, and to our personal service which sees every client allocated a dedicated sales progressor. It’s very easy when the property market is thriving to think that any agent can sell your home and so to choose who you use based on price. But as ever, it’s all about value and it’s critical you get the most from your time and money. Our fees are there to allow us to market your home appropriately and go the extra mile so you get the right price and the result you need in a suitable timescale. Our sales progressors work with everyone in the chain to keep things moving along as they should. This isn’t a service you’ll get everywhere – but it’s one you need and deserve. So if you’re vetting potential agents, always ask about sales to asking price, the length of time it takes them to achieve a sale and what support you’re given after an offer is secured. These are the critical questions and you’ll not always see the answers inside marketing presentations. We share this information as standard because we believe in transparency and being measured on what we achieve. If you can, our advice is to also choose someone on the ground who knows the patch inside out. The insight that comes with a local agent can be invaluable and you’d be surprised how often this knowledge is called upon when dealing with potential buyers. It’s a great time to buy and / or sell. We’d love you to be sold on embleys so why not give us a call on 0191 252 2810 and we’ll look forward to chatting. When I first established Embleys, I had two very simple goals. The first was to bring the highest level of customer service to the estate agency sector, the second was to establish a stronghold around the coast. Six years on, I’m proud to say that we’re well on our way to achieving both. If you live in NE25 and NE26, you’ll certainly have seen the significant concentration of sales successes we’ve experienced. From Seaton Sluice to Tynemouth you’ll also have seen a swathe of purple Embleys signs. Take Ventnor Gardens, where during the course of last year we sold six properties. In Hermiston and on Beach Avenue we sold four apiece, while on Bideford Gardens, Sandringham Drive and Kings Road, we were thrilled to complete for three vendors on each street, all just in 2015 alone. Having multiple successes on each of these roads is a huge boon for us on a number of levels. Firstly it shows that the research we do is paying off in terms of accurate valuations, leading to greater interest and faster sales. Take the data, which shows last year we achieved 100% or more of the asking price for almost a third of our customers. 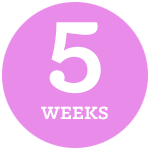 We also had an average time to sell of just seven weeks. The fastest selling property was snapped up in just one day! But secondly and more importantly, it means our customers are happy with our customer service and results – and because of this are referring us to friends and family. Over 25% of our clientele recommended us to people who in turn became customers last year. We’re hugely grateful for that and commit to always delivering the very best we can. Our clients will always remain at the heart of everything we do. We’re proud of our achievements and want to thank you for trusting in Embleys. We’d love to help you to plan your next move so why not give us a call on 0191 252 2810 to find out more. We’ll look forward to hearing from you. 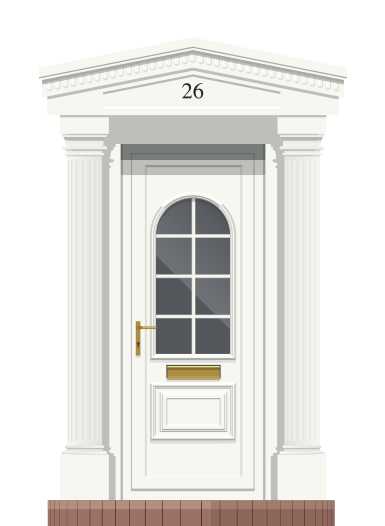 Here at embleys we’ve talked a lot this year about how demand for property has outstripped supply and the forthcoming Stamp Duty changes could well see this trend continue into the New Year. If you’re wondering why, Stamp Duty on second homes and buy-to-let properties is set to increase by three per cent from April 2016. It’s therefore no surprise property experts are predicting a rush as investors rush to buy before the changes come into effect. This is good news for those thinking of selling, because it means putting your home on the market now or early in the New Year could potentially result in a faster sale as investors look to snap properties up. It could also bring good news for buyers, especially those trying to get their foot on the housing ladder as some investors quit the buy-to-let market before the changes are introduced. However this plays out, embleys is always ahead of the latest developments and ready to help you to plan your next move so why not give us a call on 0191 252 2810 to find out more. We’ll look forward to hearing from you. House prices have gone up almost 10% in the last year, the Halifax has reported. The rise equates to £18,771 – meaning that house prices have risen by an average of £51 a day over the last year. Putting the average UK house price in October at a “seasonally adjusted” £205,240, the Halifax says this is 9.7% up on the same month last year, and up 1.1% on September’s price. Economist Martin Ellis said: “Improving economic conditions and household finances, together with sustained low mortgage rates, have boosted housing demand during 2015. “Strengthening demand is filtering through into higher sales levels, although the ongoing shortage of supply is acting as a significant constraint on activity. As everyone knows, buying and selling property can be challenging depending on what’s happening in your life, not to mention industry conditions. Many people say it’s one of life’s most stressful events. However it doesn’t have to be that way. That’s why here at embleys, we are committed to delivering the very best customer service at all times and refuse to compromise on this. Volumes of sales have never been our number one priority. What matters to us is that our customers can sell their properties for a fair price in a reasonable timescale and find the home of their dreams – while feeling supported throughout the process. This requires attention to detail and we resource the team accordingly to make this happen; one of the reasons the team continues to grow. For us, estate agency is not about being a shop front, but doing everything in our power to achieve a sale and it doesn’t stop when the sold board goes up either. We go the extra mile to ensure everything pushes ahead smoothly. From hand-matching client requirements to available stock, negotiating sales prices based on local data, managing the chain and liaising with solicitors and banks, we do it all as part of our standard service. It’s just the embleys’ way. We believe this is the reason that our main growth comes from word of mouth. At least one in three enquiries comes from a referral from past or present clients and we’re grateful to our customers that they pass our name on to friends, family and colleagues. Building these types of relationships is the very best way to do business. Our focus on customer service also pays dividends in terms of what we achieve for clients. For example in the last three months it has only taken an average of seven weeks to secure an offer for clients from placing them on the market. During this time we have also achieved 100% or more of the asking price for a quarter of our clients, which is no mean feat. With an average 97% of sales to asking price across the board during the same timeframe, I’m thrilled for our clients and proud of my team for their skills and ongoing efforts. This success is no doubt why we are firmly establishing a reputation as the dominant estate agent in Whitley Bay and Monkseaton and making real inroads across all other coastal areas. If you want to know more or would like a free valuation, we’d love you to be ‘sold on embleys’ so please call on 0191 252 2810. We’ll look forward to hearing from you. It’s holiday season and here at embleys we are celebrating another successful quarter in which we have once again seen our market share develop and growth in terms of completions. It’s always a great feeling to have helped even more clients move into their new homes around the North East coastal areas. As ever, we’d like to thank you for this ongoing success. The reason we are asked to carry out so many valuations is down to the positive word of mouth and recommendations that we receive. Customer service will always be at the heart of everything we do and the fact it pays off in this way is really gratifying to see. As you know, I always share a bit about local market conditions so here’s the latest news. The situation hasn’t actually changed that much since Easter. Stock is still low, with demand reasonably high. This means if you’re thinking of listing your property, our advice is not to wait. Summer is a time when properties often look their best and you can really see everything on offer. It also means you have a much greater likelihood of being in your new home, all ready and settled for Christmas. It’s fair to say that sometimes sellers hesitate to put their home up for sale because they’ve not yet found what they want but all this does is stall activity. If you’re wondering what I mean by this, it’s that if everyone waiting to find a home went ahead and put their property on the market while they are looking, the stock issue would very quickly resolve – availability would increase and it would really help stimulate the market. So please do list, it helps everyone keen to buy and/or sell. What’s more we promise you this: we will always got the extra mile to find you what you want in the postcode you’re keen to live in and this includes leaflet dropping and more. Ask any of our clients and they’ll tell you how proactive we can be in this regard. As ever we want everyone to be ‘sold on embleys’ so please do give us a call on 0191 252 2810 as we’d love to tell you all about how we can help. It’s been a fantastic start to 2015 with a bumper April in terms of sales – and Embleys once again achieving year-on-year growth. We’re not resting on our laurels though and have just completed a fantastic new brand refresh. Our website is fully responsive and we’ve simplified the property search facility, so it’s easier than ever to sell or request a valuation. Customers also have access to real time info on sales to asking prices, number of viewings to sale and you even see exactly where we operate across the Coast. You might find our patch is wider than you think! This, coupled with our advertising, direct marketing and social media feeds, really does strengthen our offer and reach, meaning you can be confident we will sell your property in the quickest timeframe and at the right price. Why not give us a call. The last twelve months have been very dynamic, with an increasingly buoyant market, which has been great for the coast. The number of completions we have been involved with is up by a quarter compared to 2013. There remains a lot of buyer demand and stock continues to be limited- which means if you do list, you are likely to have more viewings and potentially command a higher sales price when it comes to the offer process. The Help to Buy scheme this year has stimulated demand and helped cut sale times, as has the recent changes to the stamp duty, supported by low interest rates. All of this will hopefully continue into 2015. The infographic in this report highlights that there is much to celebrate. Last year the average property price in our area increased by an average of 5.21%. Our statistics show that 27% of the properties we sold in 2014 achieved 100% or more of the asking price and that the average time to sell was just eight weeks. That’s very much something we are proud of. We’d like to thank all our loyal customers for their custom and for recommending us to others – a quarter of those who listed with Embleys in 2014 were referrals and we are very grateful for that. Customer service is at the heart of all we do and our aim is always to exceed expectations. If you’re wondering what the changes to stamp duty mean to you, it’s all good news. It might appear complicated but while before fees were based on the category of house price you fell into, now it’s based on the actual sales price itself, more like the system that’s used to calculate income tax, which will save you money. We’ve provided a handy guide here and if you want to calculate what your stamp duty would be, the HMRC’s calculator can be found here: http://www.hmrc.gov.uk/tools/sdlt/land-and-property.htm. The last twelve months have been extremely dynamic and the market has been increasingly buoyant, which has been great for the coast. The number of completions we have been involved with is up by a quarter compared to 2013. There has been a growth in enquiries, property listings and sales, with many clients experiencing a much shorter time to sell The Help to Buy scheme this year has stimulated demand, as has the recent changes to the stamp duty, supported by a hold on interest rates. 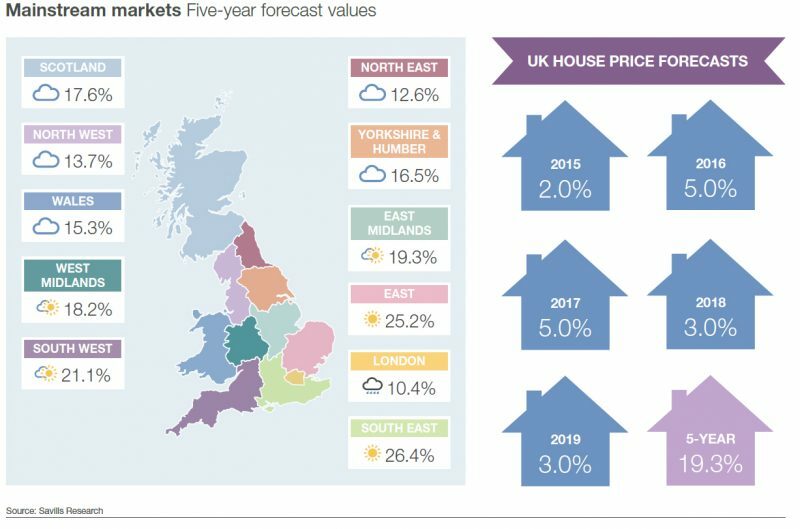 This has led to faster sale times and the average property price has increased by an average of 5.21% in our area in 2014. Also our statistics show that the sales price here at Embleys were on average 98% of the asking price, with 27% of the properties we sold in 2014 achieving 100% or more of the asking price. Our sales in NE25 and NE26 have been consistent, both postcodes remain extremely popular thanks to a wide variety of local amenities, great transport links and a number of strongly performing schools. We have also had some significant success in Tynemouth and North Shields, many of our instructions have been referrals from clients who appreciate our ability to achieve great sales prices in a faster timeframe than expected, with excellent Customer Service. For these reasons we have also enjoyed a lot of repeat business in 2014 from existing clients. On 3rd December 2014 major reforms to Stamp Duty Land Tax were announced by Chancellor George Osborne which are set to benefit 98% of home purchasers. This means that for example a stamp duty payable on a property for £275,000 would be £4,500 less from the 4th December 2014. This is because before 4th December 2014 the stamp duty rate was 3% on the whole amount whereas now the first £125,000 is free of tax, then from £125,000 to £250,000 2% is payable, then from £250,000 to £275,000 5% is payable. A full breakdown and comparison is on the following page. Happy New Year! It’s hard to believe January is here already. Hope you all had a wonderful Christmas with friends and loved ones and that Santa was kind. As you’ll know, January is always a busy one for estate agents because people want to ring in the changes and often a new home is top of the list. It’s no different this year – valuation requests continue to come in apace, which is hugely positive for the local market, demonstrating that it remains as buoyant as ever. Listing your property now is a good thing to do for several reasons. Firstly, the lack of stock that we saw at the end of 2014 is still an issue so there are plenty of buyers out there. More viewings increase the likelihood of a faster sale at a higher price which is quite an incentive. When you couple this with the fact there are numerous Government schemes in place to help people move, including the recent change to Stamp Duty thresholds, and that interest rates are unlikely to rise just before or after an election, it’s hard to see why you’d want to wait. We’re always here if you wish to chat about your options and it’s never a problem to carry out a free valuation if you want to know where you stand. Knowledge is power and we have all sorts of data we can share on different types of coastal properties, especially those located within the NE25, NE26, NE27, NE29 and NE30 postcodes. Before I sign off, I’d like to express my gratitude to all those who continue to appoint us and refer us to their family, colleagues and friends. Last year embleys grew by around a third and we couldn’t have done that without your help. I’d also like to thank the team for making sure our customer service continues to excel and bring in repeat custom. We want you to be ‘Sold on embleys’ so please do give us a call in 0191 252 2810. We’ll look forward to hearing from you. Are you ready for a new Ho Ho Home? With Christmas just around the corner, it’s the perfect time to look back at the year that has passed. As ever we are very grateful to those who have supported embleys by trusting us to sell their property or using us to buy. Special thanks go to those who have recommended us to friends, colleagues and family as such a large percentage of our business comes through word of mouth. The last twelve months have been extremely dynamic and the market has been increasingly buoyant, which has been great for the coast. While we’re now seeing a small slowing in activity, there is still plenty of momentum – put it this way, the number of completions we are involved with is up by a quarter compared to this time last year, which is no mean feat! While the traditional thinking has always been to wait until the New Year to place your property on the market, we would recommend pushing ahead now if you’re thinking about a move and there are several strong reasons for this. Firstly, there remains a lot of buyer demand and stock continues to be limited – which means if you list, you are likely to have more viewings and potentially to command a higher sales price when it comes to the offer process. There is also some useful research worth bearing in mind. Rightmove’s House Price Index, December 2014 edition, reports that in 2013 its site experienced 500,000 hits on Christmas Day from homebuyers. This figure jumped to 1.4m on New Year’s Eve and then again to 2.2m on 1st January. That’s an awful lot of prospective interest to miss out on if your home’s not on the market. There are only a couple more things to say as we head towards 2015. The first is that instead of Christmas cards, we will once again be making a donation to the Depaul UK’s Youth Homelessness Scheme in order to help those in need. Secondly, I’d like to say a heart-felt thank you to the embleys team both old and new who have worked tirelessly to ensure our customers always come first. Their hard work and energy is much appreciated.